Scott Goodwin Masonry, LLC is a full service stone masonry company with over 18 years experience in the industry. 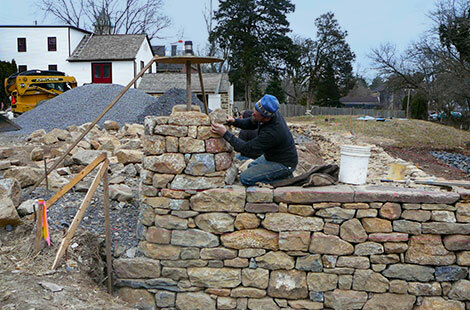 Scott has worked with local stone masonry artist Steven Snyder, Inc and has expert knowledge of old world craftsmanship along with the artistry needed to complete a variety of stone masonry projects. Scott Goodwin Masonry, LLC specializes in historic stone restoration and preservation, using appropriate materials to reconstruct the building’s original design and aesthetics. We pride ourselves in expert quality and craftsmanship. Please contact us for your next project.